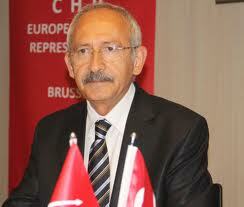 Turkey’s Court of Cassation has approved the conviction of main opposition Republican People’s Party (CHP) lawmaker Enis Berberoğlu, while postponing the execution of the five-year jail sentence due to his status as a member of parliament. Berberoğlu was released from Istanbul’s Maltepe Prison late Sept. 20 following the top court’s order, which approved the five-year 10-month prison sentence of a local court, while suspending the execution of the sentence due to Berberoğlu’s reelection as an MP in the June 24 elections. “I have been in prison for 16 months over a news article. I was in solitary confinement for 16 months, seeing no other convict,” Berberoğlu said outside the prison after being released on Sept. 20.